UP 14%!? No, Down 26.2%!? DATA. What Is It Good For? I was reading The Washington Post on Sat November 24 and I came across their “Real Estate Trends” report for Fairfax County. They compared the first 6 months of 2006 to the first 6 months of 2007, excluded condos, and they used data gathered through the courthouse (ie. not the MLS). Out of the 47 zip codes, they said the #1 fastest growing zip code was 20170, Herndon at +14.4%. How can this be? I recently wrote about Herndon and the Foreclosure mess going on over there with as many as 48% of homes on the MLS from $300k to $400k being in some stage of foreclosure (See my SOL foreclosure post). Aha! Gotcha! My translation: Take out the foreclosure and short sale problem in Herndon and home prices went up! I pulled data from the MLS for the same time period. Like the Post, I used the Median price. I didn’t see 14.4%, but it still went up!? So then I ran the numbers from July 1 2007 to present. Up 14%? Down 13%? Down 26.2%? Flip Flop! How can you compare 300 homes in a zip code to a completely different 150 homes a year later? These are NOT the same homes. Add in a new community of 30 homes (which are always much higher than resale homes) and it can make a zipcode look like it was skyrocketing. I even think new homes actually might be the reason why NAR has never shown a decrease in home sale prices (with the exception of this past year). You also have data extremists, such as bubble prognosticators. To the right is a famous chart from the S&P Case-Shiller index. They are claiming that prices will drop 50%. Is your $500,000 condo going to be worth $250,000 in a couple of years? Oh, by the way, Robert Shiller is getting rich on this doomsday prognosis. Let me break that down really quick. NAR’s main excuse is that the data is delayed and is more weighted toward higher priced homes? Um, that was a horrible comeback. Ok, it is 3,6, 9 months behind, so just wait, or move the data over. Are you saying you agree with them in regards to higher priced home? So with the average home in the US being somewhere around $250,000, anything “high priced” like $400k will drop like they say? NAR better come up with a better comeback to that, no wonder people believe it. Bottom line is, data is too easy to manipulate. Ok, so what should buyers do (if they, not their Realtor, decide to buy)? 1) Don’t try to time the market Attn. Market Timers! The EXACT Best Day to Buy! 2) If you are ready to buy, use the Round Robin Method “Round Robin” Buying System. Unearthing The Desperate Seller. nts PER house. Does it have a garage? Compensate for that. Larger Sq Footage? Etc. Then and only then can you see any real trends. Like what you read? Thanks. 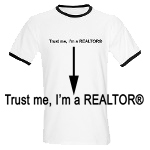 Make sure you subscribe (upper corner of Blog.FranklyRealty.com) so you can get my next post on Days on the Market correlation to prices in Northern Virginia. Also forward this post to others or share this post using your Facebook account. Update: Look at the Nova Housing Bubble and their example of Herndon homes selling for 41% off their previous purchase price. Frank-I just posted something yesterday about two articles in Money Magazine that show one community with two entirely different sets of data. I’m past believing anything I see in print and hope we can convince consumers to give up reading the paper and listening to the news. Instead listen to the agent who knows their area of interest and let us work the numbers for them. I did a series of post last week on this topic for the same reason you wrote this post. I included data and/or sources for retrieval of information. Ck ’em out and let me know if it helps you. It’s easy to manipulate numbers, and I just can’t take all the media’s “fuzzy” math. Feel free to add any links to related topics in any of my blog posts. The more the merrier, I don’t consider it comment spam. Thanks anonymous. I used your suggestion.